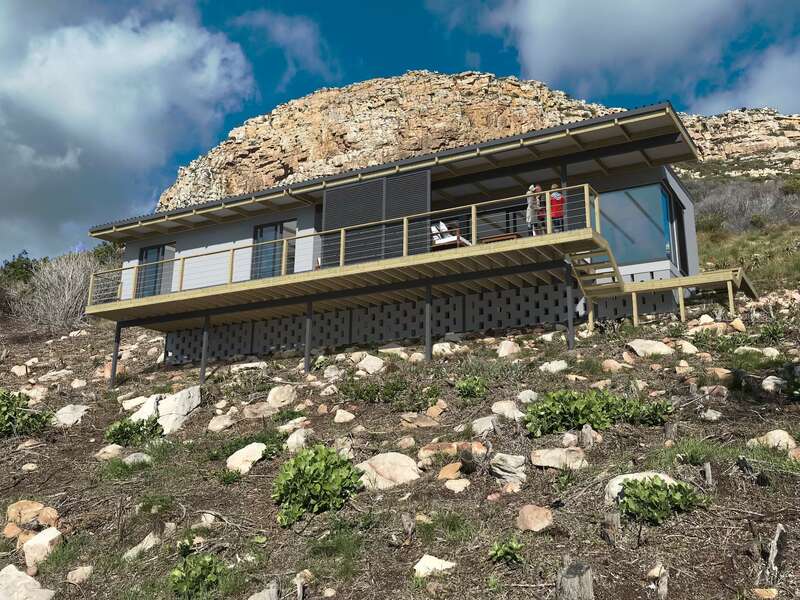 This specific house is situated high up on the mountain slopes and is only accessible by pedestrian steps. The inaccessibility of the site dictated the use of a framed structure. The living area and veranda take advantage of spectacular sea views.